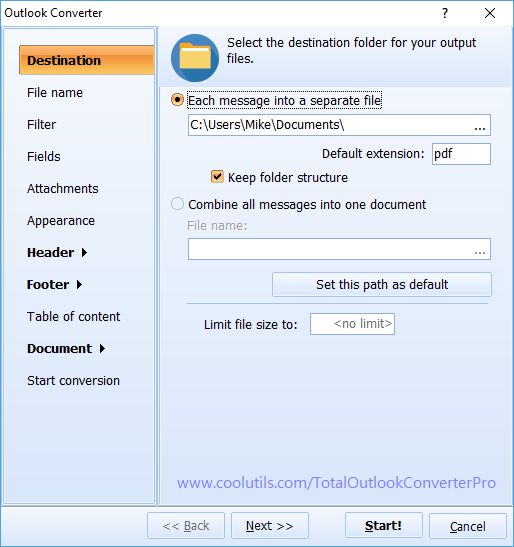 Total Outlook Converter Pro works for people who need to extract information from emails and attachments and save it to TXT format. You do not need to be a computer genius to handle such conversion, as the program is very smart: just press a few buttons, and get a result. It will convert Outlook emails with attachments to TXT format and save the copies on your computer. You only need to check required options from this list in the settings wizard. 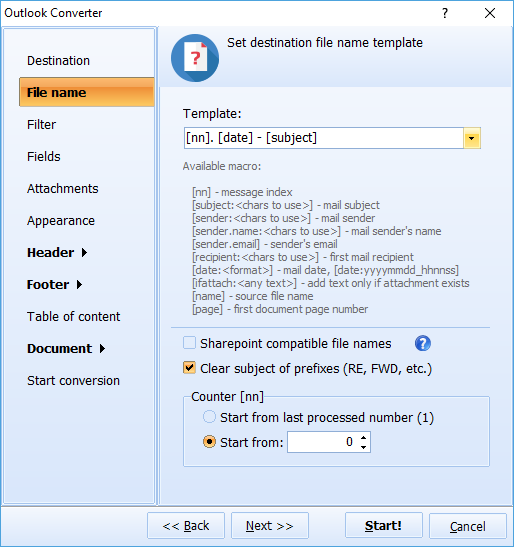 This Outlook converter allows processing specific type of attachments and ignoring the rest. Standard version of the program only converts attached emails. It is reasonable to make regular email conversions, filling up TXT copies with newer messages. 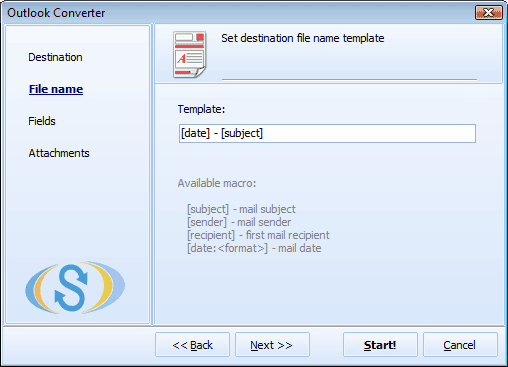 As this is a batch email converter, you can convert all your inbox at once. Messages can be combined into one file or each one can be converted to a separate TXT file. By setting file name template you can rename converted copies for better convenience. If you wish to make TXT storage as compact as possible, just exclude the unwanted fields (To, Cc, ect.) from conversion. All these settings are made in a wizard that pops up after you select conversion format. 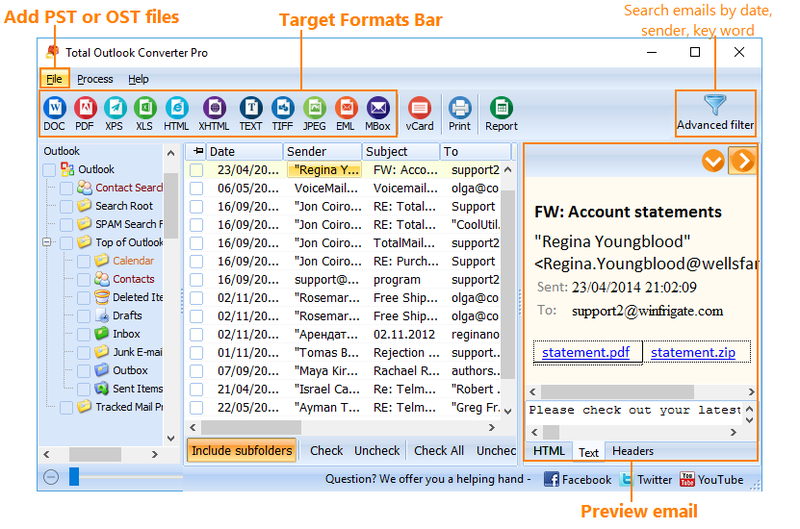 With the help of this program you can also convert Outlook emails with attachments into images like JPEG or TIFF. 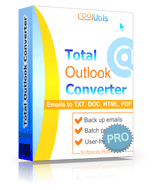 This and a lot more conversion options are available for you in Total Outlook Converter Pro. Try it in a trial version!